Dr. Lebrón was born in the city of Maunabo and she graduated from the UPR Humacao campus. She obtained her PhD in astronomy at the UNAM (Mexico) and she completed postdoctoral work at the Max Planck Institute for Radio Astronomy at Bonn, Germany. 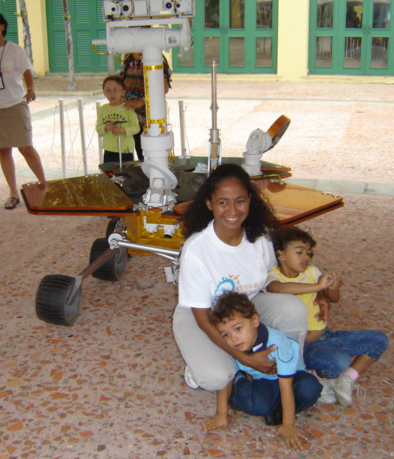 In the over 40 years of history of the Observatory she was the first and only Puerto Rican to be hired (in 2002) as part of the astronomy scientific staff of the Arecibo Observatory. She is a Professor at the Department of Physical Sciences of the General Studies Faculty (University of Puerto Rico, San Juan campus). Dr. M. Lebrón is member of the American Astronomical Society, the Astronomical Society of the Pacific, and the International Astronomical Union (IAU). Dr. Lebrón is very active in the area of communicating science to the public and in 2019 is the IAU100 National Organizing Committee contact person for Puerto Rico. Dr. Carmen Pantoja is the first Puerto Rican woman astronomer. She completed her Bachelor and Master's degree in Physics at the UPR, San Juan campus. She obtained a PhD at the University of Oklahoma using the Arecibo Observatory for her research and received the Nielsen Prize Award that was established to recognize excellence in Doctoral Research in Physics (Department of Physics, University of Oklahoma). She completed Postdoctoral work at the Smithsonian Astrophysical Observatory at Harvard. She is a Professor of Physics at the Department of Physics of the Natural Sciences Faculty (UPR, San Juan). Dr. Pantoja is interested in the large scale distribution of galaxies in the Universe and the emission properties at radio and infrared wavelengths of galaxies. She has worked in the development of strategies to make astronomy accessible for persons with low vision or blind. 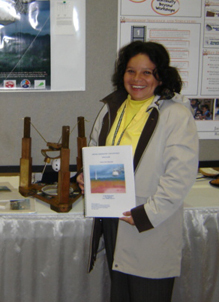 Dr. Pantoja is member of the following societies: American Astronomical Society, Astronomical Society of the Pacific, International Astronomical Union, American Physical Society, and the American Society of Physics Teachers. 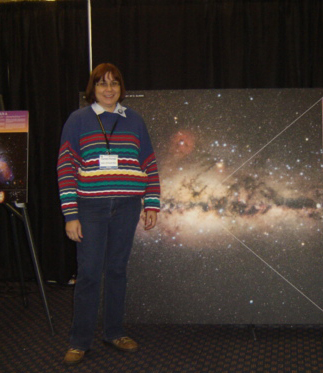 In 2016 she was selected to participate in the Astronomy in Chile Educator Ambassadors Program (ACEAP). She has been elected (2018-2020) Representative of the Puerto Rico Section of the American Association of Physics Teachers (AAPT). Dr. Gloria M. Isidro obtained an Ed.D. from the University of Puerto Rico, San Juan campus. She is from Colombia. She completed her undergraduate studies in Mathematics at the Universidad Industrial de Santander in Colombia. She completed a Masters degree in Mathematics at the University of Puerto Rico, San Juan campus. Currently she is a Professor at Caribbean University (Bayamón). She collaborates with Dr. Carmen Pantoja developing strategies to make the learning of mathematics and astronomy accessible for visually impaired and blind students. Dr. Jorge Morales is Puerto Rican from the city of Ceiba. 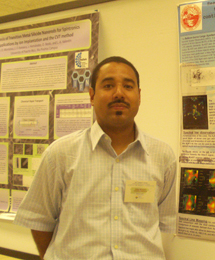 He obtained his PhD at the UPRRP as part of the Chemical Physics Doctoral Program. He obtained his Bachelor degree in Applied Physics to Electronics at the UPR-Humacao. He completed a Masters in Physics at the Department of Physics at the UPR Río Piedras campus. He currently is part of the Physical Sciences Department of the Faculty of General Studies (UPRRP) where he teaches undergraduate courses in Physical Sciences. His research interests are in the area of Star Formation. Dr. Ramón López Alemán is a computational cosmologist. He obtained his PhD from Penn State University. He is a Professor at the Department of Physical Sciences of the General Studies Faculty (UPR, San Juan campus). He is interested in increasing the technology skills of students, and he spends part of his time developing virtual laboratories for teachers and students. His research areas include cosmology and black holes. He works with the community offering public talks about the Universe and cosmology. Dr. Daniel Altschuler is an uruguayan resident of Puerto Rico since 1979 with a Puerto Rican family. He completed a B.S. at Duke University and a PhD at Brandeis University. He was the Director of Arecibo Observatory for 12 years (1991-2003). One of his achievements was the construction of the "Fundación Ángel Ramos" Visitor Center of Arecibo Observatory that has been visited by over a million persons and serves as an educational center for teachers and students in Puerto Rico. He is a Professor at the Department of Physics at the UPR Rio Piedras campus. He is the author of numerous articles and books that communicate science to the general public. In 2010 he received the prestigious "Andrew Gemant Award" from the American Institute of Physics. This annual prize recognizes the accomplishments and contributions in the cultural, artistic or humanistic realms of Physics. His research is focused in the study of the emission properties of normal galaxies, active galaxies and quasars. 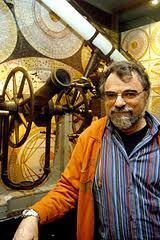 He has also worked in the area of the large scale distribution of galaxies in the Universe.